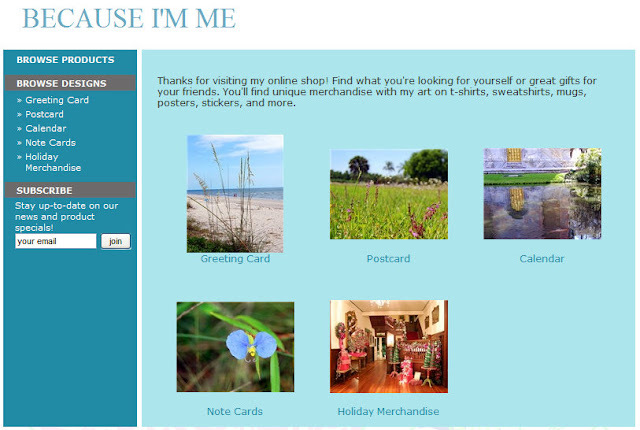 I am ridiculously excited to announce that Because I'm Me now offers printed items, such as notecards, postcards, and calendars for sale. A great deal of thought and care has gone into the choosing of the available items. The selection will continue to grow and evolve.